No coupons. No sales. No compromising your healthy diet. So many readers have reached out to me asking how to purchase healthy foods on a tight budget, in the midst of busy family lives. Here are some of the challenges you are facing… “Our biggest challenge is our food budget and how to drastically reduce it! We want to move towards being a thriving single income family.” “Within the last 6 months, our family has undergone a lot of dietary changes due to health problems and finding food that meets that criteria and that is low cost has been a struggle on a one income budget. ” “I try to save money by using coupons and shopping at the lowest priced stores but we still seem to have a high bill.” I get it! You live in the same world I do. You’re struggling to feed your family healthy foods on a tight budget. You want to pay off debt and save for the future and still have time to spend with your family. You feel time-starved and disorganized, and you’re longing for someone to take your hand and show you how to get your grocery budget in order. You and I both know you don’t need just another 101 Tips for Saving Money on Groceries. 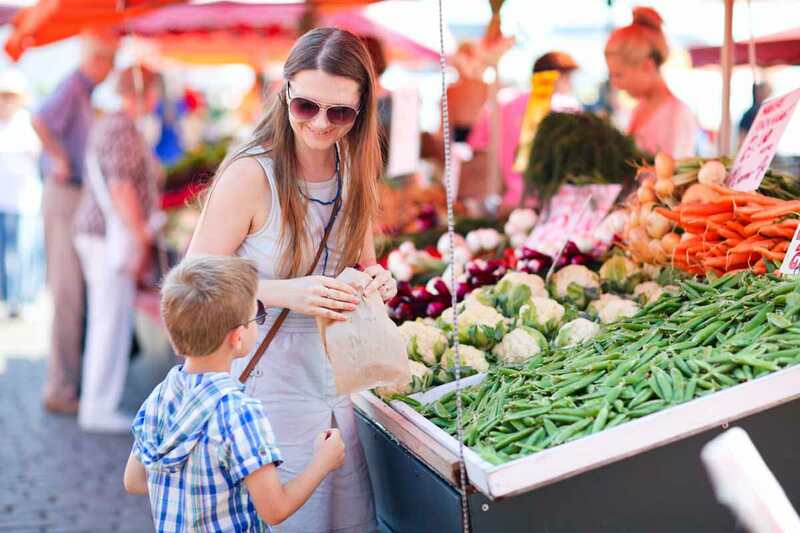 What you need is an organized grocery savings system that is simple to implement – and a little encouragement to get the job done. You’re busy raising kiddos that eat and eat and eat, and all you know is that you need to save money NOW! Sure staying on budget is important. But what’s really important is to find most efficient methods for saving money, so you still have time to enjoy being with your family. When I developed my grocery savings system I had a newborn and a toddler at home, and we only had one car that my husband needed for work. 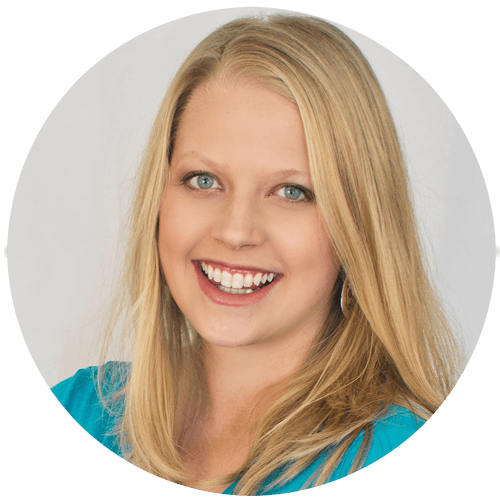 Pouring over newspaper ads and circulars or printing off coupons every week and then running from one store to another to get the best deals just wasn’t realistic – and I’m guessing it’s not for you either. I knew if I had to go to all that trouble to save money, then my grocery budget would go out the window anytime life got busy. That’s why I worked so hard to create a set-it and forget-it method that works with the ups and downs of a busy family life. What if you felt confident that you knew exactly where to shop and what to buy to save on groceries. Imagine the satisfied smile on your face at the end of the day as you watch as your family devours the delicious meal you prepared for them. You can! Simplify your scratch cooking routine. Find out what you should and shouldn’t be making from scratch. Learn how to cross meal planning off your to-do list forever. Find out where to shop to save the most money on groceries in your locale. Use my grocery savings cheat sheet to start saving money right now. Find out what to buy to save the most money on groceries. Start using your grocery savings system. Keep using it to save month after month. 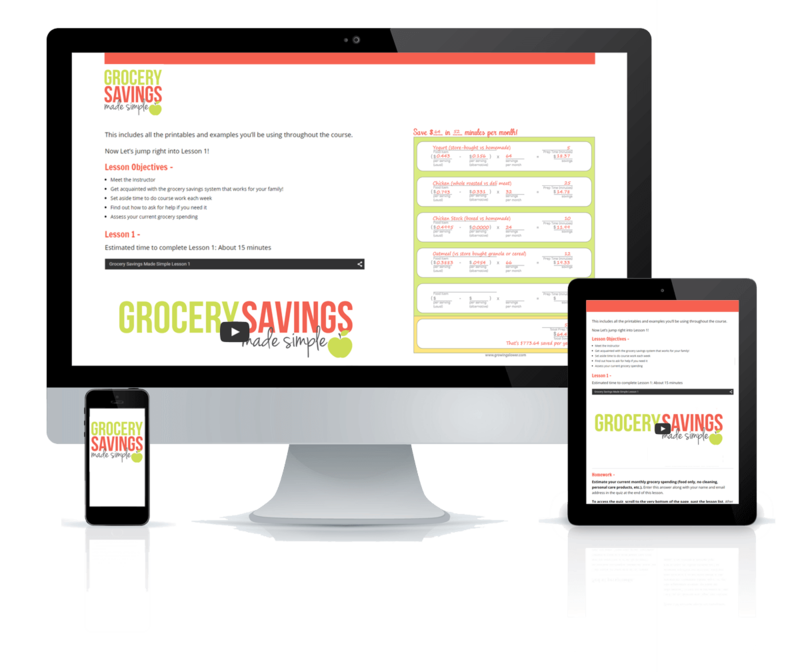 Grocery Savings Made Simple is available in two perfect packages. Pick the one that’s right for your family. COMPLETE COURSE This option includes all 8 lessons that will walk you through exactly how to save big on the foods your family loves. COURSE + COACHING This option is perfect for the mom who wants a little extra help with creating their grocery savings system. You’ll get one-on-one support with tips tailored specifically to your dietary preferences. As a mom, I know you work hard to make good investments with your family’s money. So I wanted to help simplify your decision by making my course risk-free. Give Grocery Savings Made Simple a try. If you complete all 8 lessons and don’t save any money on groceries, email me within 30 days of purchase and I’ll refund your money.